However, it’s something we’ve started to take for granted. It’s all but forgotten until winter’s around the corner, or until we catch a cold. 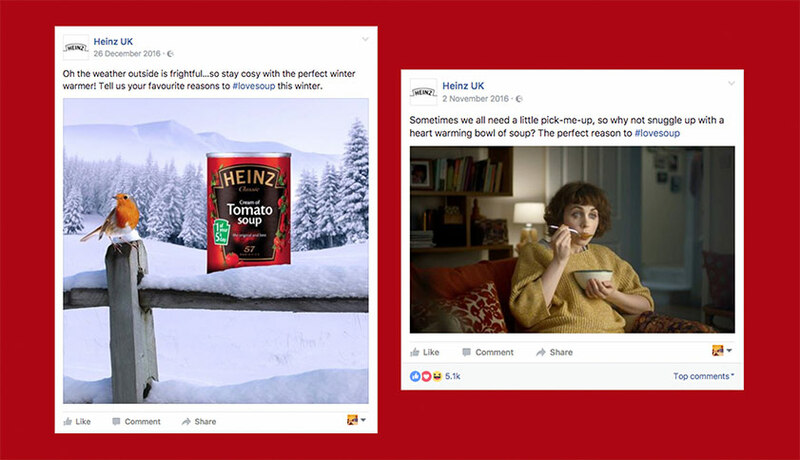 So while Heinz Soup is still a national favourite of work lunches, cosy evenings and lazy weekends, there’s not much conversation around it. Our job was to reignite the nation’s passion for soup by translating the ATL “LoveSoup” campaign and warm up the hearts of millions on social media. Our mission was to get people to look at soup from a different perspective – not just as something seasonal. Not only did this help us create highly relevant content, it also channelled all the positive emotions and the nostalgia associated with this heritage product. 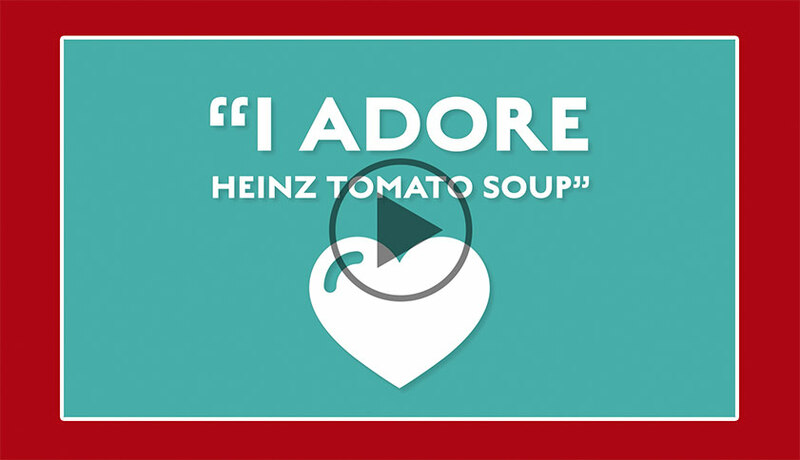 We gave our audience a voice by encouraging them to engage and share their stories via #LoveSoup, leading to one big user-generated love-fest for the UK’s favourite soup. There were three main elements to this campaign – adopting a new strategy focused on real life and real occasions, creating content that’s fresh and in line with the ATL campaign, and involving our audience in a major way. A key part of our strategy was to drive re-appraisal of product relevance by moving away from traditional “winter marketing” and delivering functional reasons to believe. These were based on key consumption occasions that were relevant to our audience. To remind people of the role canned soup plays in their lives, we created a series of posts celebrating various soup moments, ones that resonated both emotionally and functionally. We kept things fresh by mixing up weather-related content, snippets from the TV campaign and other occasions. At the end of the campaign, we created one big celebration video using input from our users, and highlighting the most popular moments around the “LoveSoup” theme. This finale was a perfect way for to reward engagement and make users feel great about connecting to Heinz Soup. There was even more love for Heinz Soup than we expected. The campaign re-framed canned soup consumption in consumers’ minds, all while keeping the great sentiment about it intact (as evident in the 98% page sentiment). Our content reached over 22 million people on Facebook alone, and really connected with the people it reached. 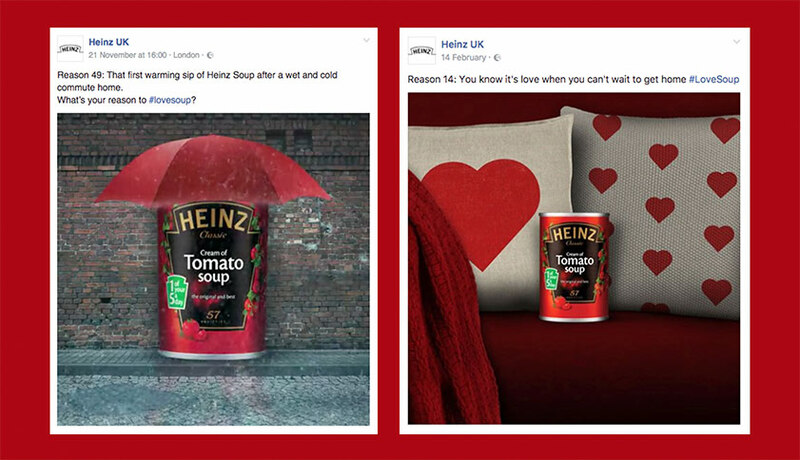 Average campaign engagement rate reached a Heinz UK high of 6.5%.